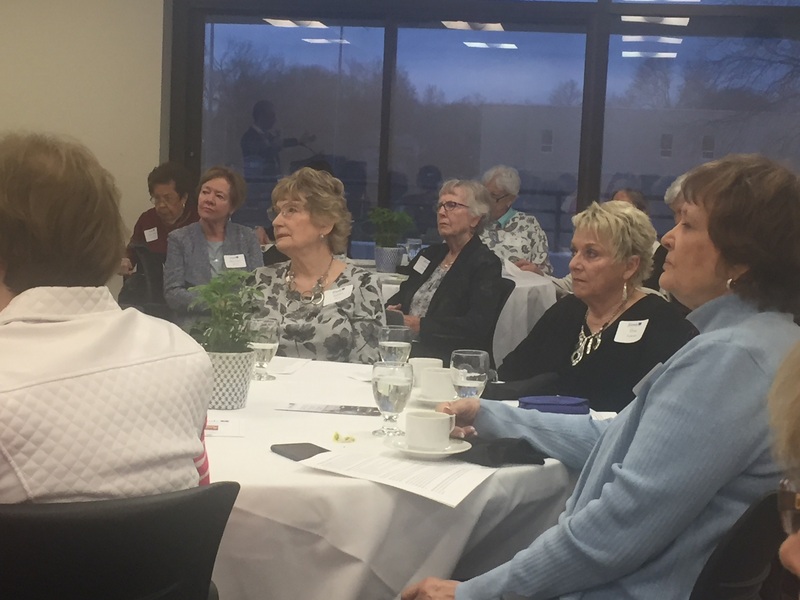 Once again the Kansas City Ladies of Charity joined the Friends of Rockhurst University Library for the 2019 Lenten Day of Prayer on March 27 held at the Rockhurst Campus. 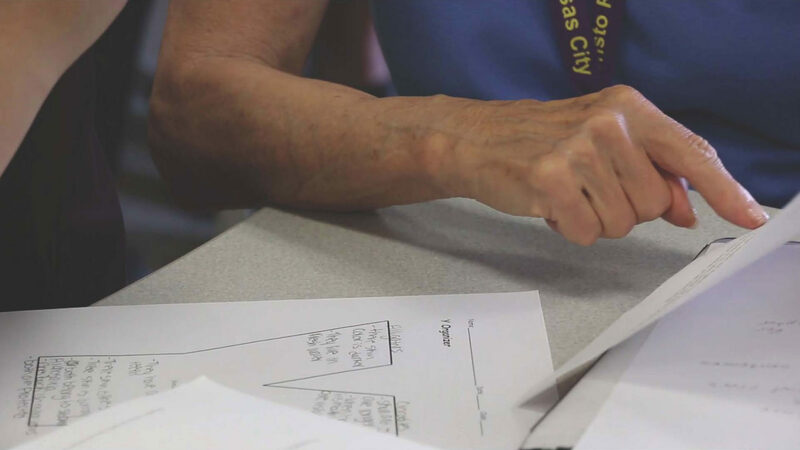 Both organizations describe this partnership as “win-win” — one that provides an opportunity to learn, pray and share a half-day with fellow faith-filled women. The day began with a Continental breakfast followed by a talk about the apparitions of Mary by guest speaker Michael Scherschlight, Ph.D. He posed questions about the purpose of her appearing to people all over the globe and her urgent messages to all of us. 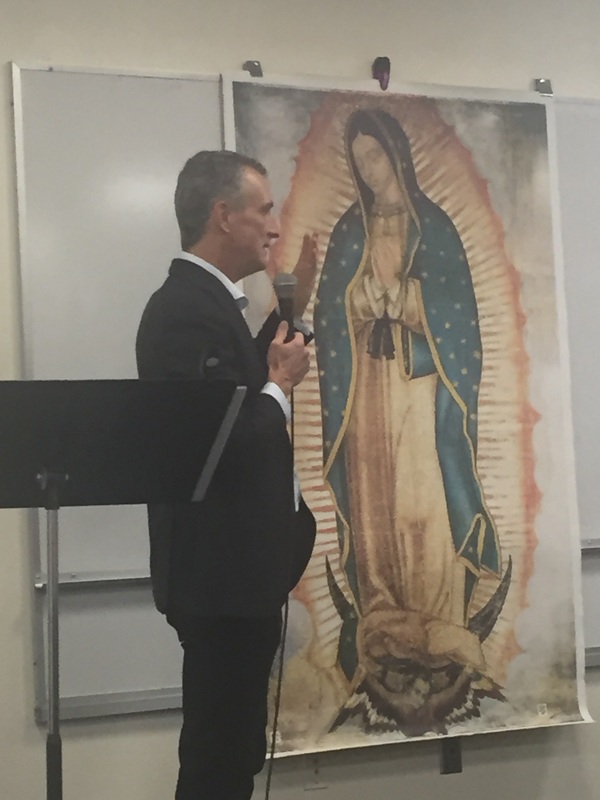 Then he shared the moving story of Juan Diego’s 16th Century encounter with Our Lady of Guadalupe and displayed a life-size picture of the Mexican peasant’s cloak, the famous Tilma, that features a beautiful portrait of our Blessed Mother. His talk concluded with a recitation of the Rosary. The group moved to the Massman Hall Chapel for Mass celebrated by Rockhurst University President, Rev. Thomas Curran, S.J. 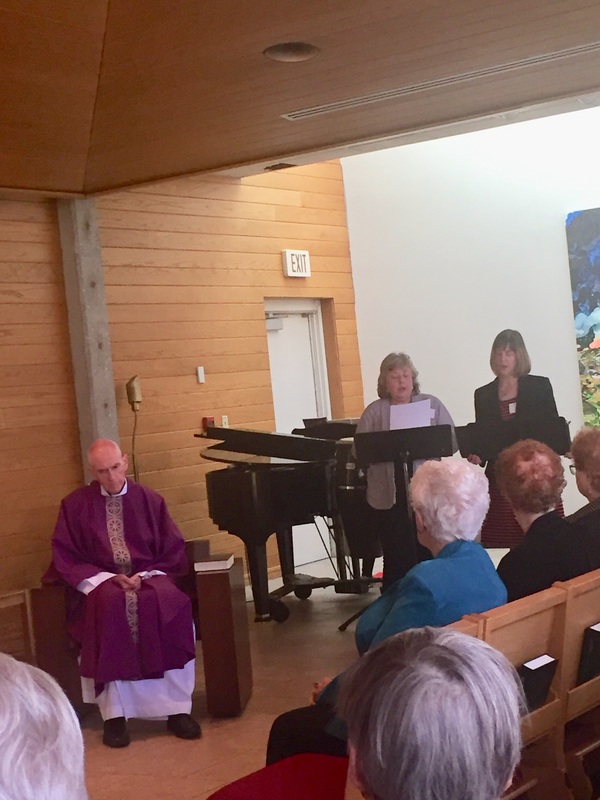 Karen Brinker, Mary Lew McCarty and Mary Ann Caffrey enhanced the liturgy with music and song. Catherine Powers, LOCKC Spiritual Director, and Donna Montague, President, expressed grateful thanks to Dr. Scherschlight and everyone who attended the mini-retreat. Friends of Rockhurst University Library president Laura Foley added welcoming remarks to the group with lunch and conversation closing out the day. Golf cart shuttle service provided by Rockhurst staff made getting to and from parking areas so convenient! THANK YOU, ROCKHURST UNIVERSITY, FOR A WONDERFUL SPIRITUAL AND PRAYERFUL EXPERIENCE!